Newcomer Family Obituaries - Frederick G. 'Fred' Staunton 1939 - 2019 - Newcomer Cremations, Funerals & Receptions. Frederick G. Staunton, age 80, left to be with the Lord on Saturday, April 13, 2019. He was comforted by the presence of his wife, children, grandchildren, family, and friends. He lived a full, active life and wanted everyone to know he was going to a far far better place. Fred was born in Toledo on February 26, 1939. 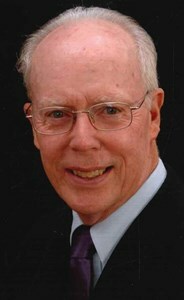 He graduated from Scott High School in 1957 and attended the University of Toledo. He proudly served his country as a medic in the U.S. Army from 1962 through 1968 and rose to the rank of Staff Sergeant. After the Army, Fred was a branch manager for 1st National Bank in both Toledo and Swanton, Ohio. He worked the remainder of his career in local auto dealerships, finally retiring from Thayer Nissan in Bowling Green, Ohio. Fred had a heart for service in both his community and church. He was a leader in Rotary International for more than 40 years and was president of the Swanton chapter from 1979 to 1980 and the Bowling Green chapter in 2009 and 2010. His leadership was further recognized by Rotary with the prestigious Paul Harris Fellowship for exemplary service and financial support. He accepted the Lord as his savor in his teens and was an active member of Emmanuel Baptist Church for more than 50 years. He served his church humbly in multiple capacities such as Upwards Basketball assistant coach, Groceries for Life, Sunday School Teacher, Treasurer, Deacon and Superintendent. He was treasurer for the Baptist Children’s home in Springfield, OH and also recently volunteered with the Sylvania Police Auxiliary. Fred was a huge fan of the Scott Bulldogs, University of Toledo Rockets, Mud Hens and NASCAR. He had a passion for photography with numerous pictures published in local newspapers and national magazines. He recently toured the war memorials in Washington, DC as part of the Flag City Honor Flight program that celebrates and recognizes our veterans. He was a Godly example of leadership and service to all who knew him. Fred was proud of his family and extremely involved in their lives. He is survived by his wife of 57 years, Lois (Lay), and their children Cindy S. (John C.) Kerr and Scott F. (Annette) Staunton. They have three grandchildren John Wesley Kerr, David Scott Kerr and Allison Marie (William Jr.) Gergich. Fred is also survived by two sisters, Hester (Paul) Thielen and Kay (Bob) Gonyer. The Family will receive guests Tuesday, April 16, 2019 from 4:00 p.m. – 8:00 p.m. in the Newcomer West Sylvania Chapel, 3655 King Road (419-392-9500). The Funeral Service will be held Wednesday, April 17, 2019 at 11:00 a.m. at Emmanuel Baptist Church, 4207 Laskey Road Toledo, Ohio where the family will receive guests at 10:00 a.m. Interment will follow in Toledo Memorial Park Cemetery with Military Honors. Memorial contributions may be made to Groceries for Life at Emmanuel Baptist Church in Fred’s memory. To leave a special message for Fred’s family please click on the share memories tab above. Add your memories to the guest book of Frederick Staunton. Our thoughts are with you during your time of sorrow. Our deepest sympathy for your loss. "Once a Bulldog, always a Bulldog"
Our thoughts are with you during your time of sorrow. Our deepest sympathy for your loss, "Once a Bulldog, always a Bulldog"
Lois so sorry to hear of Fred's passing but rejoicing that he no longer suffers and is home with his Savior! Our thoughts and prayers are with you and the family as you go through this valley together, let the Lord be your strength and comfort! A long time friend and a very good Christian man. “One of the most beautiful qualities of true friendship is to understand and be understood.” A true friend invites you to their house when you were new to the area. They can last through the middle school and high school drama with their kids. They stay close went over 800 miles apart. They are there for each other when their loved ones passes on to glory. Over 30 years and still counting, that’s friendship! Call me whenever you need to talk. So many memories, guess I remember most our families sitting together at some restaurant after church eating dinner. I can hear dad say, “Well hello there Fred! Good to see ya.” In that Southern draw of his. Happy they are walking the streets of gold together. We couldn’t have asked for a better neighbor than Fred. The welcome we received to our new house when we moved in was so warm and genuine. We will truly miss his conversations over the fence and the yard work tips. Lois, please let us know if you need anything from us. The Staunton Family will be in our thoughts and prayers. I have known Fred since Scott High. I have been praying for Fred every day since I heard of his illness. Knowing of his love of our Savior , I will see him soon in glory. Love and prayers to all Fred’s family. My deepest condolences to you Lois, Kay and Family. Fred and his beautiful pictures will be miss. Wish I were there to join you in celebrating Fred's home going but I will see him again. I'm sure he has see my sister Carolyn Tucker Hartman by now and are talking about days at Scott. He will be missed. God bless you in the days to come! Fred will be deeply missed. He was a joy to work with at Groceries for Life. We will miss his jokes and his smiling face! Absent from the body, present with the Lord. I have many memories of my dear friend Fred. What sticks out the most, no matter what he came to church to do, he made sure that he found me before leaving so that he could tell me at least two jokes that he was waiting to share and yes I laughed at them all. So grateful to have been apart of Fred's life here on Earth. I look forward to the day we will see each other again for Eternity. Loving memory of my buddy.